Raising the awareness of the Filipino American community and the general public concerning Filipino American history and the struggle and contributions of Filipino Americans. Filipino American Human Services, Inc. (FAHSI) is a 501(c)3 non-profit organization established in 1993 to bridge the gaps in social services for the Filipino American community in the Greater New York Metropolitan Area. 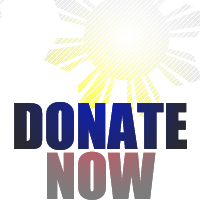 FAHSI’s primary mission is to help the most vulnerable segments of the Filipino community in New York City. FAHSI provides community-based programs and services which build upon culturally competent support structures for immigrants, youth, seniors and the growing Filipino American community in New York. Filipino Americans make up the fourth largest Asian American group in New York (the second largest Asian American group in the U.S.) with a population of over 62,000 based on 2000 Census and immigration data from the New York City Department of City Planning. The official count will most likely still underestimate the actual population and exclude many undocumented immigrants. Nonetheless, it is clear that Filipino Americans are a rapidly growing segment of the city’s population, increasing by 44% from 1990 to 2000. With annual immigration more than doubling over the 1980s, the Philippines ranks among the top 16 countries-of-origin of immigrants to New York City (New York City Planning, The Newest New Yorkers, 2000). Four out of five of the Filipino Americans living in New York City are immigrants. While the community is spread out over the five boroughs of the city, the majority (54%) resides in Queens. Since the wave of Filipinos who have immigrated to New York consists largely of professionals, Filipino American households have, on average, a higher median income as compared to other Asian Americans. Nonetheless, a significant portion of the population (6%) live below 200% of the poverty level, while an estimated 40% of the total population remain undocumented. In terms of age distribution, about 30% of the New York City Filipino population are below 25 years old, while some 7% are over 65. Despite a dramatic increase in population in recent years, Filipino Americans are critically underserved with respect to human services. This gap in services was recognized by two Filipino Americans—Dr. Jean Raymundo Lobell and Atty. Reuben Seguritan—board members of the Asian American Federation of New York (AAFNY), an umbrella organization of Asian American human service agencies that addresses the needs of Asian Americans in metropolitan New York. "Personally, I felt there was this black hole that represented a lack of an organized way of dealing with the human services needs of the community,” explains Dr. Lobell. In recognition of this, the Federation—taking the lead of its two Filipino American board members—convened the Filipino American Planning Initiative Forum in November 1992. Nearly 80 community leaders gathered at this conference to identify the needs of Filipino Americans in New York City. A year later, with funding from the Federation, the Filipino American Human Services, Inc. (FAHSI) was established. Since its inception, the Filipino American Human Services has worked in three program areas: (1) youth development; (2) case management and counseling services; and (3) community education and advocacy. These areas address three critical problems in the community: lack of human service programs for Filipinos, lack of information about existing services, and lack of community representation. FAHSI is the recipient of the 1996 Philippine Presidential Award for Filipino Individuals and Organizations Overseas (Banaag Award), given to organizations for their exemplary service to the Filipino community.